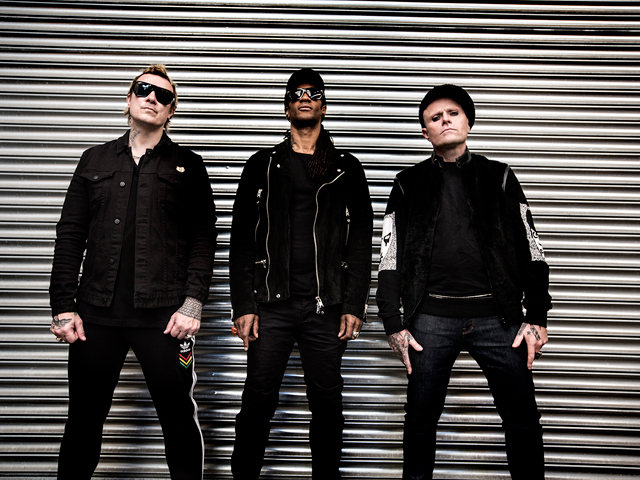 TEG Live & Division Agency proudly present global award-winning electronic act The Prodigy for the Australian tour in 2019 to celebrate the release of their new album 'No Tourists' to be released globally on 2 November 2018. All shows go on sale on 10am Thursday 1 November 2018. The Australian leg of the tour opens at RAC Arena, Perth on 24 January 2019, before moving through to Adelaide Bonython Park, Brisbane Riverstage, Melbourne Arena and finishing at Sydney Qudos Bank Arena on 2 February 2019. Always uncompromising, The Prodigy's influence can be seen across generations, turning metal kids onto raving and ravers into metalheads. The band put out genre destroying record after genre defying record and from the very start, The Prodigy were renegade revolutionaries. Put simply, The Prodigy are no tourists and never were. The Prodigy have clocked up a staggering six No. 1 albums in the UK including 1994's 'Music For The Jilted Generation' and 1997's 'The Fat of The Land'. Their latest offering 'No Tourists' is set for release on 2 November 2018. 'Need Some1' was the pounding debut single from the new album, a banger that features a classic house diva vocal sample from Loleatta Holloway. This was followed by 'Light Up The Sky' an attack of acid rock in which guitars combine with 303 mayhem, Maxim's spitting vocal and an uplifting chorus from long-time contributor Brother Culture; a track that illuminates the urgency and danger that has continually defined The Prodigy throughout their career. Described as 'one of the very best live acts in the world' and having frequently headlined the Big Day Out festivals, The Prodigy topped the bill at Future Music Festival in 2015, as well as selling out several solo shows in Sydney including multiple Horden's. The Prodigy will be supported by triple j unearthed DJ, Enschway, along with Perth-born DJ, ShockOne who has firmly established himself as one of bass music's major talents. Enschway most recently played on the national Listen Out festival after an extensive run of solo shows around the country. ShockOne's debut album 'Universus' charted at No. 1 on the ARIA charts and his new single 'Underloved' will be released in November with his sophomore album due to be released early 2019.